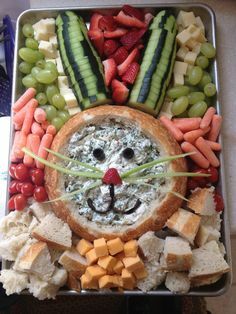 Easter is such a fun time to decorate. Everything is so colorful and vibrant at this time of the year. 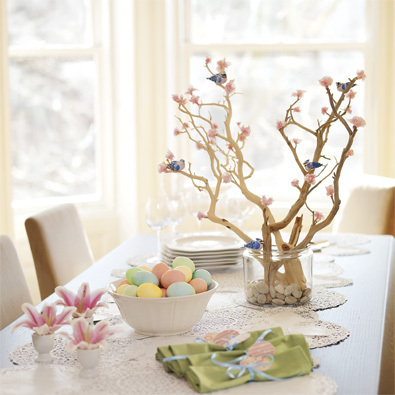 Hear are some ideas to help you get started with your Easter decorating. 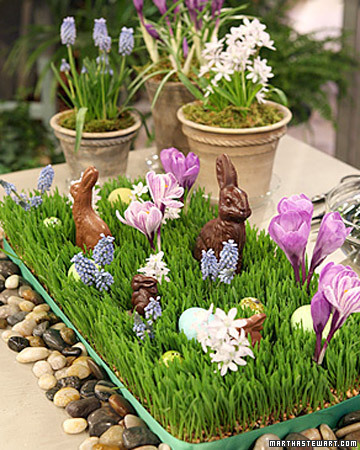 Use Easter candy to enhance the look of your spring flowers. 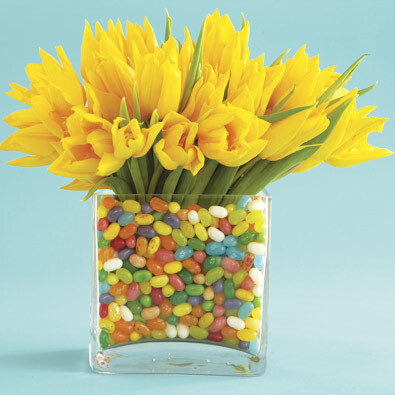 This centerpiece uses two vases and brightly colored jelly beans. 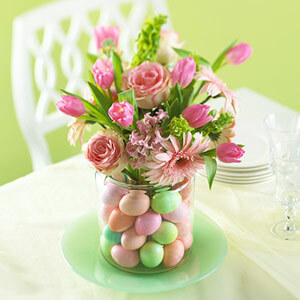 Another idea using a vase or jar is this Easter Egg Vase. This table uses disposable doilies as an elegant cover for your table. 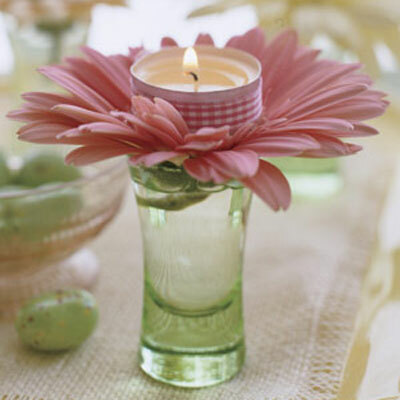 I love this Flower Votive Candle that you can easily make yourself. This Wheat Grass Centerpiece is a great way to bring the outdoors inside. Let these ideas inspire you to celebrate the Easter season by brightening your house with spring decorations. My fav is the votive flower candle! First of all, gerber daisies are my fav flower and second of all it is just too cute and simple! I love getting your newsletter. Thanks so much for all the great ideas!